New York: Doubleday, Doran & Company for The Crime Club, 1939. Very Good/Good. 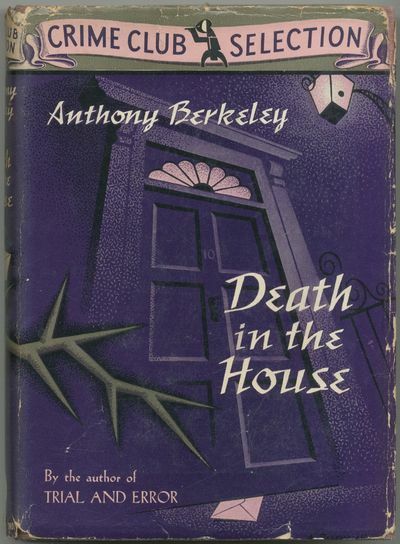 First American edition. Owner's small bookplate on front pastedown, binders glue offsetting on endpapers and pastedowns, very good in an about very good foxed and edgeworn dustwrapper with internal tape repair on chipped top spine end. A mystery novel, especially scarce in jacket.